This enables you to interact with your potential customers and develop a relationship of trust and goodwill. For the past few years, this form of marketing method has been making a particularly strong case in getting desired ROIs (return on investment). The email marketing has remained popular among the startups, entrepreneurs and small business owners. Since these campaigns can be low-cost promotion opportunities, they are budget-friendly methods of marketing the products and services. Email marketing enjoys a higher return on investment than other marketing methods. It has seen that email marketing offers a conversion rate of 4% to 7% over time. The reason behind this is a reader need to watch your message for around 7 to 8 times to trust you enough to buy your products and service. With emails, you can easily do that. Want to increase your sales? The keep your customer happy to make them your repeat customers. When someone purchases product from you and you have their email, you can let them know about the special offers and deals through the email. Email marketing tells the customers about other offerings which may motivate them to take action. Email marketing helps you in maximizing your advertising budget without the quality and coverage of customers. Combining with the latest technologies you can easily distribute your company's message to the largest number of your customers. You can even target a special group of people for email marketing without spending money on traditional direct mail. Emails are a great way to get valuable feedback from the customers including the users of the website. You can later use those feedbacks to determine various factors such as the choices and preferences of people, what kind of changes they would like done and more. Most of the big companies are using this method to know about their customers. 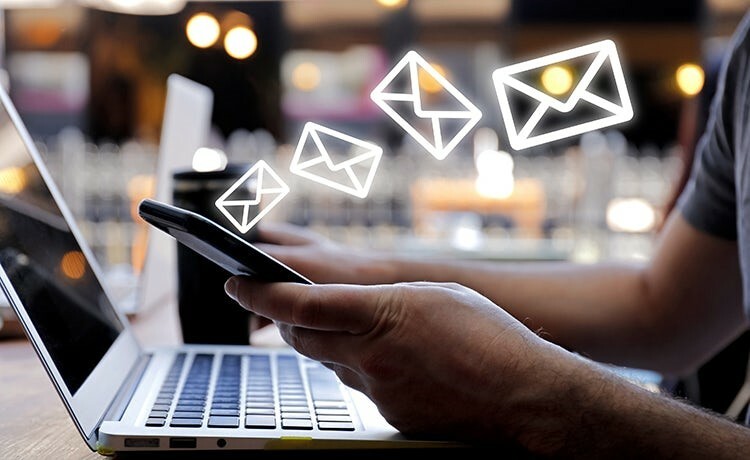 However, to get most out of your investment in email marketing, you need to have some effective email marketing ideas which can use to boost sales of the product and services. So here are some tips which will help you to take your email marketing in the right direction. Most of the company owners now treat email campaigns as a medium to showcase their products or service. But the fact is that people are already getting bored from such sales pitches. So, you need to know how to develop messages which can inform and educate people while keeping them entertaining. Studies show that people respond better to offers and information which are local to them. The reason behind this is that information is more relevant. They will prefer to choose the offers and promos and information that they can access within their vicinity. Design your email marketing campaign to work on all kind of devices on which users can read their emails. For example, smartphones, Pcs, tablets and more. As per the report, around 67% of emails are now accessed either a smartphone or tablet by the users. You have to create emails that are legible on a small screen. Use the locational capabilities of mobile devices to send location-specific messages. It has proved that video content in emails can greatly increase the user interest and engagement. It keeps them entertaining while assessing the information from emails. Videos make your emails perform better. Emails need to be personalized to the readers. They must have interesting graphics. Because graphics or visuals help the readers to understand what you want to describe through the emails quickly. Include GIFs in your design. These are can easily capture readers attention when they open your email. You can use them within the body of the email. Develop your content and make sure there is value in it. Don’t offer fake promises to your readers. It will severely affect the goodwill of your company. With original and accurate information, you can develop the trust that you are looking for. The technology is developing rapidly, and you can use them in your email marketing campaign to achieve higher delivery rates. You can ask your email service provider to verify the validity of your email list. You need to sanitize your list to prevent a lower delivery rate. Social media marketing and email marketing are two different things. But email marketing is still king. However, you can’t neglect the power of social media. If you want to get the best result as far-reaching both literally and figuratively, it is time to integrate social media with your email marketing campaigns. In your emails, you can provide a link of your social media channels using which the readers can know more about you. Don’t forget to use straight and clear calls to actions. Through hard work you have constructed a brilliant email, used a good subject line and it has been opened. That’s good. Now all you need to do is, guide the reader through the email and motivate them to take the desired action. For this, you will need a well-structured call to action statement. Depending on what options your readers have, CTC can be like Read more, make your reservation now, forward to a friend and win prizes, etc. Always keep your call to action clear. No matter what kind of business you have, promoting your business using email is an effective way to reach your prospects. Email marketing ideas can go beyond from just sending the textual messages to your customers. Learn about the new strategies and integrate them in your email marketing campaign. This is the best way to capitalize on ways to get connected with prospects and existing customers and to enjoy higher conversions. Melissa D Jordan is a content writer who specializes in email marketing Guide Video Marketing and blog ideas. She had started her carrier from Growth Funnel in 2015. Growth help business and startups personalize their marketing like never before.